Use the Quick Search Box (QSB) for a quick math calculation. Calculation result is shown in the suggestions list below the searchbox. Opening the calculator app is not required. 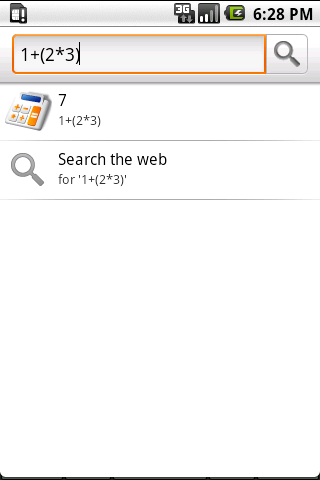 Search Calculator supports many mathematical functions.